It's a common known fact that most spells in draft aren't up to snuff, but newer players might not know why. Well no more! 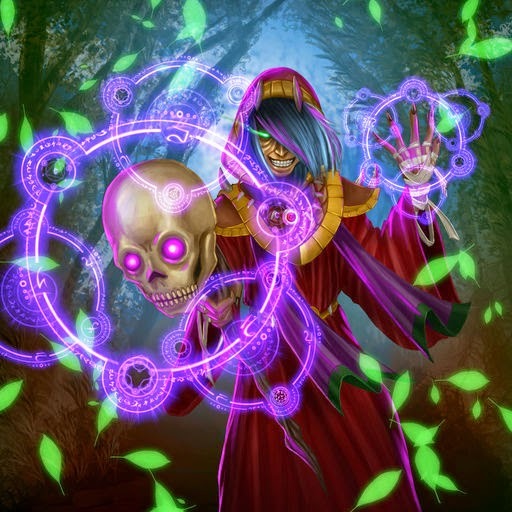 In this draft article, we look at spells, and why a vast majority of them are actually cards you should avoid picking. The effects of many spells are temporary, for example, a Flame Lance could be considered a 5/0. Spells simply do not scale as well as creatures. Sure, you can Vyric's Embrace that Featherfang now to kill it off, but that's not true at later levels. Partially because they are usually temporary, for some spells to be even playable, you need to draw them precisely when they are needed. They leave a lasting effect on the board, in this case, making your creatures bigger. They can affect several lanes, which gives them a supreme edge over the other spells. Both Verdant Charge and Dysian Siphon do not scale poorly, a swing of 6/10/14 is crazy at every level, and a levelled Verdant Charge with a semblance of a board usually wins games. Both spells are capable of 'blowing out' your opponents, typically by reversing a trade when you cast them. But of course, it's pretty hard to simply discern the great from mediocre to the unplayable spells if you're new, but in general, there are a few simple guidelines you can employ. Firstly, if it cannot impact the board in any way whatsoever, like Mending Spring up there, it's probably straight up unplayable. If it can impact the board, but not in a meaningful or lasting way or requires the stars to align to get value out of, like Spirit, Power and Spore Torrent, and Verdant Grace, they will still likely be largely unplayed, although not as terrible. Burn spells are a step above the above mentioned since they can kill off something immediately, but since they don't leave anything behind, they are usually a poor play. Spells that make your creatures bigger, or buffs, are usually pretty decent, Infernal Visage, Twinstrength and Lysian Shard, but go up in value if you have a creature that you loves buffs, like Ravenous Hydra or Spite Hydra. Debuffs on the other hand, are actually worse than buffs because they are reactive. They are still pretty useful though, a Seal of Tarsus won't hurt you too much. Overall, avoid picking more than five spells, with a seven at an absolute maximum. You picked up a Dysian Broodqueen and Dysian Siphon already. You drafted Nuada, Faith's Flourish. Maybe the second one is slightly less common, but given that you don't want to play either even if you draw them, increasing the Uterra count in your deck actually increases the consistency of those cards, which can justify a pick over Death Current. And that concludes the fairly short start to the Draft 101 maybe series! It's personally my first foray into doing dedicated new player stuff, so feedback would be greatly appreciated. Regardless, I hope you enjoyed the read!